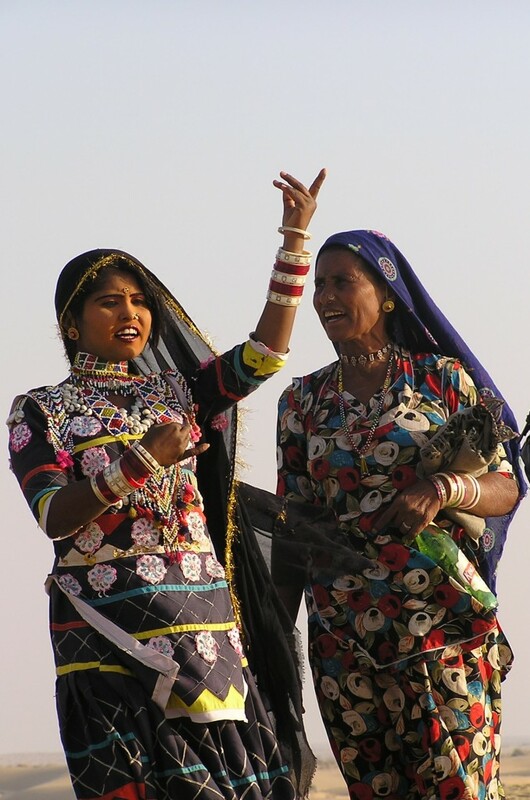 The Kalbelia tribe in Rajasthan, India were known for their frequent movement from place to place in ancient times. Their main occupation is catching snakes and trading snake venom, and their colourful and elaborate costumes as well as their dance movements and music bear a resemblance of this. They live outside the main towns with a nomadic life and have belonged as members of the untouchable caste – which means that mainstream society, have shunned them. The beaded jewellery as well as the silver the women wear forms both her dowry and her family wealth – the same as most other nomadic tribes around the world. 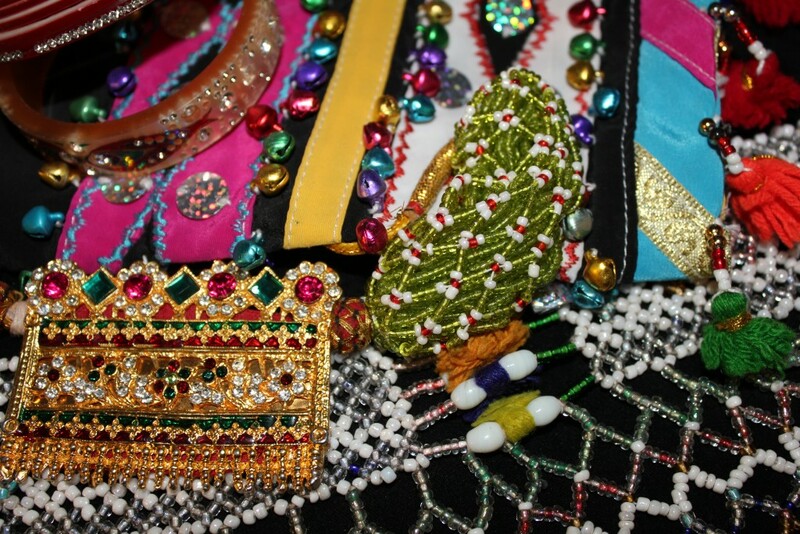 Their beadwork is elaborate and just as colourful and sparkling as their dresses – where the glass beads reflect the light when they swirling around in their traditional dance. 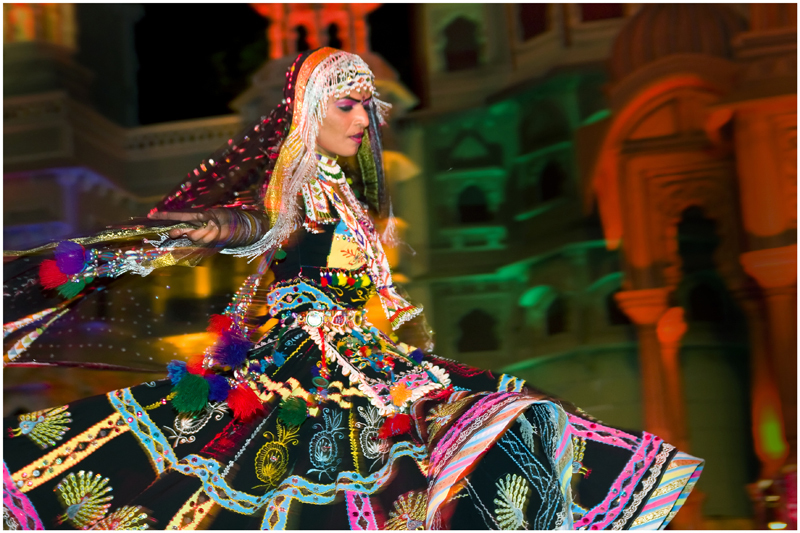 Today performing art is a major source of income and has received widespread recognition within and outside India. 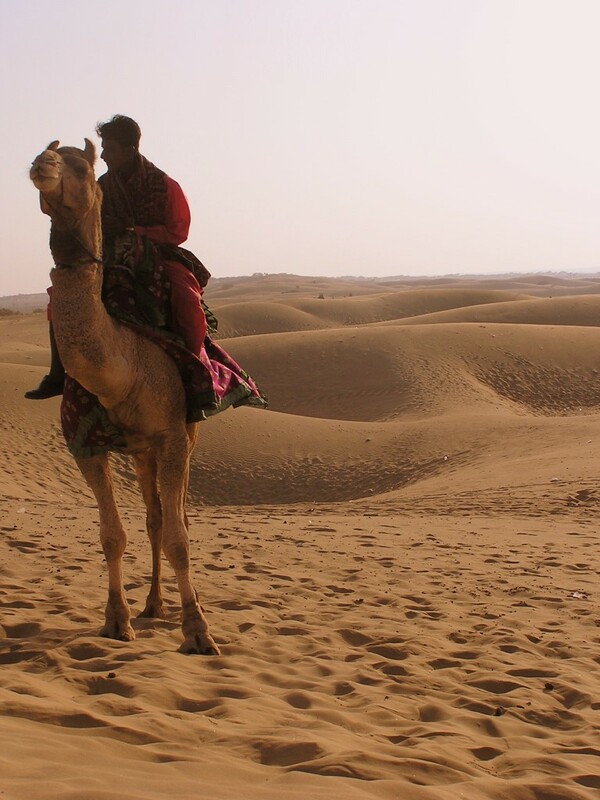 The Indus Valley in Pakistan was the site of one of the world’s first great civilisations, and beads of semi-precious stone, shell or bone have been made on the Indian subcontinent for thousands of years. Glass beads were made in India from 1000 BC on and traded to fare away destinations as East Africa, throughout Asia and Europe. Skilled artists all over India had their special techniques – as today, but the European colonization sent the Indian bead industry into decline. By the end of the 19th century India was importing large quantities of European glass beads from Murano outside Venice and later Bohemian glass beads from Germany. Some of the most famous beads of India are the Lac beads for Jaipur in Rajasthan, made from the resin of a tiny insect. The resin is heated so that it gets soft and sticky and can be rolled and formed into amazing, colourful bangles and beads worn by the women in the area. Only highly trained craftsmen can do this kind of work and it’s inherited through generations.